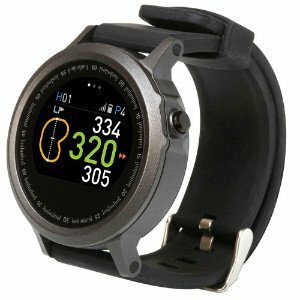 WTX Smart Watch Review: Is this GPS Watch by GolfBuddy a Winner? 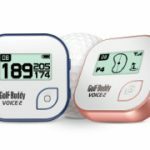 Golf Buddy has finally entered the realm of integrating Bluetooth technology with their golf gadgets. To maximize the watch’s potential with its many features is with use of the GolfBuddy Smartphone App. Don’t be discouraged if you’re not a tech nerd. It has more benefits than issues when it comes to staying connected and getting the most out of your round. With a touch screen display, you eliminate the need for buttons and more buttons. The full color screen displays everything from play modes, hazards, and hole views to pin selection, shot distance, and time mode. 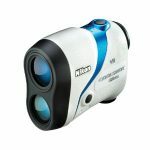 The watch also retains Golf Buddy’s Dynamic Green View with distances for instant layouts from your perspective. The watch is slim and lightweight, and surprisingly, it’s comfortable to wear. Although it has more of a male and athletic aesthetic appeal to it, it’s by no means just a watch for a man! Females can also look sporty with it too if the Golf Buddy LD2 is too blingy for them. However, the downside to the watch is its eight hour battery life. In our test runs, we got about two rounds out of it before it went kaput. To make things worse, it takes about half its playing time to fully charge up! But, for the color display and the additional features the WTX sports, we can see how it eats up battery life like a starving vampire. The perks are still worth it though. When will the Display switch to the Green? While playing in Golf Mode, the screen will automatically switch to the Green display when you’re within 20 yards of the center. How to Exit Golf Mode on the WTX watch? When you’re done with your rounds and you want to extend battery life for normal time mode, you can easily exit out of Golf Mode. Hold and press anywhere on the display for longer than four seconds until the watch asks you if you want to exit. Select “Yes” and you’re out of Golf Mode! Is the Time Mode in Analog or Digital Time? The Time Mode displays a clock in analog time. What do you do when the Display is timed out? To activate the display again, simply lift your wrist or the watch and it will turn on where you left it. This eliminates the worry of accidental bumps and faffing affecting your game and the touch screen during a round. Is the Screen easy to see in Sunlight? The bright, color display with large and big numbers makes it easy to read in any condition, it can be a little tricky to see under full-on sunlight. What is the Interchangeable Outer Screen? Apparently, you can change the look of your watch by opting for a different “skin.” However, when we looked into this, there wasn’t a replacement skin or screen that we could find from Golf Buddy yet. This is still a new watch so perhaps there might be some options later. What are the Fitness Features on the Golf Buddy Watch? The fitness features are geared towards golfers. They include Cycling Mode, Running Mode, and a Pedometer. What are the Cautions to be taken when Charging the Watch? There will be two different charging screens. A simple charging screen will be on display when plugged into a wall charger. When plugged into a computer, a Data Sync option will appear. It’s advised not to push the Sync option during charging as it will slow down charge time or cease it altogether. To ping up the strokes, the GolfBuddy WTX Smart Watch is a great wearable device that’s loaded with tons of information with the twist of your wrist. It’s priced fairly below its competing rivals for the same features. There’s no question that the WTX has great value. 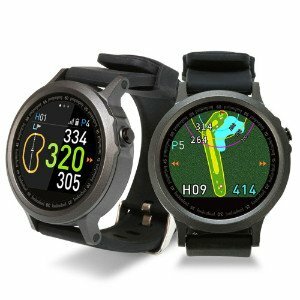 However, if you find that you don’t need all these extra perks to get your round of golf done, the new to 2017 GolfBuddy WT6 Golf watch might be right up your alley. It’s simple and yet just as capable as the WTX in giving you the distances you need. It’s not without a bonus perk – it’s cheaper than the WTX! However, Bushnell is known for their excellent and responsive customer service. If you want to get in on their golf watches, the Bushnell ION2 is a superb and nifty, little gadget, and it’s priced just right. However, if you want the best of what they have, the new to 2017 Excel Golf Watch is loaded with bullet-proof accuracy and features that’ll get the job done and more! For the price, the WTX Smart Watch has a lot of potential. Sure, the battery life is a bummer, but if you’re only playing executive rounds or a max of two rounds a day, you’ll be set to trust the WTX to do you right! If you feel the above is still not what you are after you can see the full list of devices here.